A little girl is stolen from her yard and police have no leads. Hope dwindles with each passing hour. 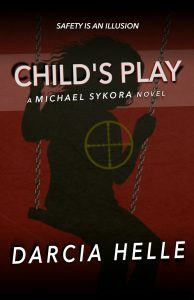 The desperate parents hire Michael Sykora to find their daughter, and to kill anyone involved in taking her. Michael and his team discover this case has roots far deeper than a single kidnapping. Children are a commodity for the wealthy and depraved. Following leads from daycare centers to the Darknet, this search is about to become personal. Darcia Helle lives with her husband in a home ruled by three spoiled dogs, one overly vocal cat, and an occasional stray lizard. Suspense, random blood spatter and mismatched socks consume Darcia’s days. 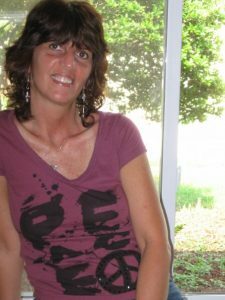 She writes because the characters trespassing through her mind leave her no alternative. Only then are the voices free to haunt someone else’s mind.